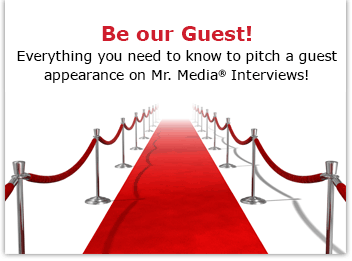 Mr. Media is recorded live before a studio audience of Rolling Stone magazine writers and past Mr. Media guests such as Ben Fong-Torres, David Wild and Parke Puterbaugh who are hanging on every word today as they seal their own unpublished interviews in air-tight mayonnaise jars and hide them under my bed… in the NEW new media capital of the world, St. Petersburg, Florida! 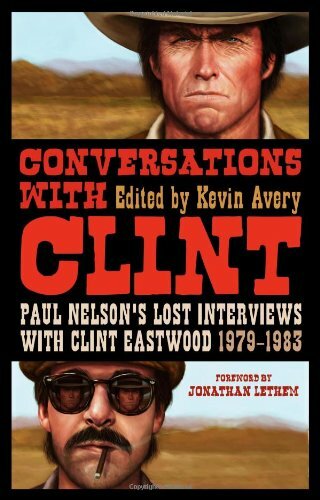 Order ‘Conversations with Clint: Paul Nelson’s Lost Interviews with Clint Eastwood, 1979-1983’ by clicking the book cover above! I completely get Kevin Avery – I think. Growing up, he admired the writing and reviews of a long-time Rolling Stone journalist named Paul Nelson. He even wrote a fan letter to the magazine about Nelson; it was published in the April 30, 1981 issue. Personally, while I was a regular reader of Rolling Stone in those days, Nelson’s name and work didn’t have quite the same impression upon me. In fact, I didn’t remember it at all. And, sadly for Avery and other Nelson fans, the legendary writer eventually faded away, a victim of his own inner demons and compulsions. But Avery never forgot him. And when he relocated from Salt Lake City to Brooklyn in February 2006, Avery sent his idol a note suggesting they work together to compile a “best of” collection of Nelson’s work. Nelson never responded – directly. I’ll let Avery tell you what happened in a moment. But it won’t spoil the suspense to say that Avery is the author-slash-editor of two new Nelson books, Everything is an Afterthought: The Life and Writings of Paul Nelson, and Conversations with Clint: Paul Nelson’s Lost Interviews with Clint Eastwood 1979-1983. There is a truly compelling story here — Paul Nelson rediscovered — whether you’re interest in pop music, film or the mysteries of the writing life. And Everything has a genuine bonus: the foreword is by my own literary idol, Nick Tosches.